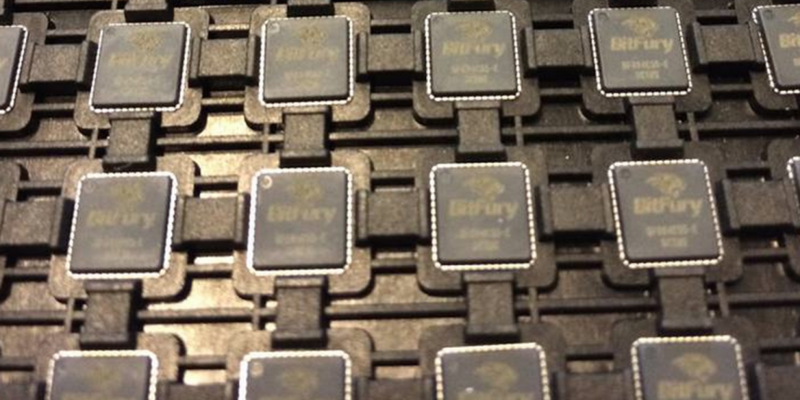 BitFury has announced it has completed the tape-out for its 16NM ASIC bitcoin mining chips, which were first revealed to be in production in February. The chip will achieve energy efficiency of 0.06 joules per gigahash, compared to the 0.2 joules per gigahash of its 28nm predecessor. BitFury suggested the chip will deliver “four times the compute power” of its previous 28NM chip. The startup, which has so far raised $60m in VC financing, used the announcement to tout its commitment to green energy, the strength of its immersion cooling process and what it called an ability to compete in a “new era” of bitcoin mining, in which the total computing power of the network exceeds 1,000 petahash. BitFury further suggested the new technology would likely be deployed in data centers that could be located in North America – a potential first for the company. In the past, the company has faced criticism for basing its mining operations outside the US, though it has maintained it is primarily concerned with the cost of data center development in places where energy and building costs are beneficial. The announcement comes amid a continued push for efficiency in the bitcoin mining space, following KnCMiner’s June news that it had released the 16NM KnC Solar chip.